With any luck, the rabidly racist Maori Party has been consigned to the dustbin of history. The vitriol spewed by ex news reader Marama Fox was sobering reading. It was all the voters fault, she exclaimed. Never, not once, not for a moment, did the racist duo of Flavell and Fox show any signs of asking themselves the most obvious question. 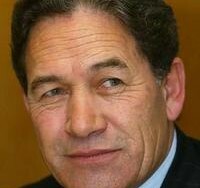 Perhaps the voters don’t like our Maori supremacist policies? Our words? Our actions? Us? That the Maori language has no word for “democracy” takes on a whole new perception, eh? The halving of the Greens MPs. Was that because the benefit fraud confession of Miss Meretricious? Or that people have had a gutsful of the Greens’ social engineering? That’s why they’re called the watermelon party. A thin green veneer over a rapacious red core of extreme socialism. That aside, the next few weeks will provide some interesting observations. Another but more wily and experienced fox will be courting the chickens in various political party hen houses. Wonderful that the Maori Party have gone from parliament hopefully they will be starved of the publicity so that they are gone forever. If Winston goes with National then I feel it unlikely that he will even try for the referendum on the Maori seats but at least there is an excellent chance that there will be no more of the racist policies we have had to suffer for the last 9 years. Yes great they have gone – hopefully for good – I think as Mike Hoskings suggested tonight Winston will elect to sit on the Cross benches – this will put him in a position of real power meaning he can call the shots in exchange for supporting National on votes of supply & confidence. Well Roger if you are right and Winston wouldn’t try for a binding referendum on the Maori seats if he went with National why on earth did a group of people vote for NZ First thinking that a binding referendum was party policy? It was obvious to me that Labour would never agree to a referendum on the Moari seats and now they have now declared that position non negotiable. My emailed questions to NZ First before the election was held never received an unambiguous reply on the referendum issue. To begin with it was difficult to find any reference to a referendum on the party’s website and when I was sent a statement about the referendum by a party official the word “binding” wasn’t included. Neither was holding a referendum mentioned as being a non negotiable condition of forming a coalition. Not a great situation but a hell of a lot better than the 9 years of the racist parliament we’ve been stuck with, till now. Yeah,well I was getting sick and tired of that racist Marama Fox always spouting off about “our People”. well guess what , “our people ” have voted–they dont want a bar of her. She should take note of that old advice that states, “If you are digging a hole and it gets too deep. then stop digging. Good riddance to her. This is the best news I’ve heard for a long time. I thoroughly enjoyed the hissing and snarling of the defeated racists after being kicked off the gravy train. Long may it last. It’s good to see that the racist Maori Party has gone. Those people leading it are all of european decent anyway, as Maori are not a race of people. Shame Winston has gone back on his word and we will continue with the racist Maori seats….which will give the racist Maori party a chance in the next election…and then we are back where we started. We need a party that is totally for equality and to end Maori privilege and a truthful look at our history…and in the ideal world jail time for all the Treaty fraudsters. Too true. Of course, ALL politicians go back on their word, after they’ve elected elected. That never changes – only the excuses for why. Even Taxindarella is now saying something different about immigration. Whether it’s tax-and-spend, courtesy of the Labour Party or borrow-and-spend courtesy of the National Party (62 billion in 9 years), it’s always the long-suffering taxpayers who foot the bill, in the end.